It’s beginning to look a lot like Christmas, and that means decorating! Living a college budget can make decorating your apartment challenging, but with these few tips, you can have it screaming Winter Wonderland in no time. While trees are a Christmas must, not everyone including myself, has money or space for one, forcing us to get creative with solutions. 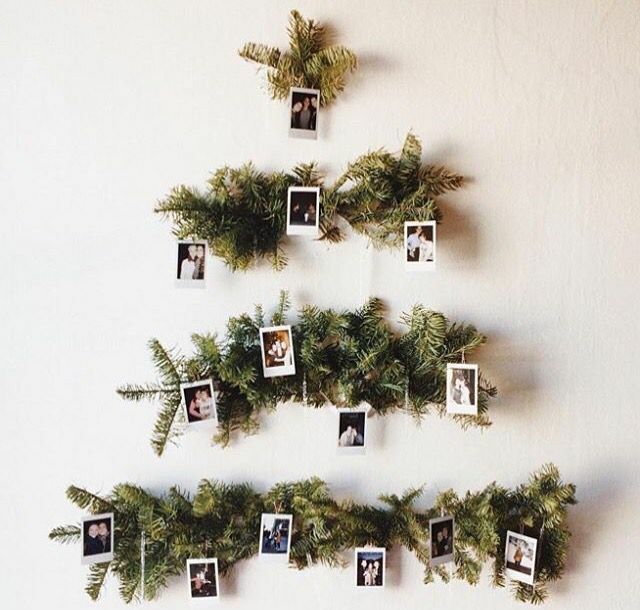 If you’re on Pinterest, you might’ve seen some of these unconventional Christmas trees. They’re a great way to add that Holiday flare to your place. If you’re a book nerd like me, you can make an adorable book tree. If you’re more of a movie person, or you use a kindle, you can also make a tree out of lights. Whichever one you decide, have fun with it. Amp up the cozy vibes with candles, fuzzy blankets and everything in between. Socks, candles, and blankets instantly bring in that much-needed warmth during the winter. Chances are you already have blankets, so use them as accents to make your couch and the rest of your home, seem cozier. If you don’t have candles, you can buy some amazing scented ones at Marshalls for under five dollars. Even better, Bath and Body Work’s annual sale is quickly approaching. Typically under ten dollars, stockings are a great holiday touch. They serve as the perfect wall decoration and can be used on Christmas morning. If you’re looking for just a basic red one, you can find them at The Dollar Store, or for a little bit more money you can get a faux fur one at places like Marshalls and Five Below. By playing up the decor you already have in your room you can drastically stretch your budget. If you have a letter board, switch it to a cute Christmas saying (ours currently says Jingle all the way nobody likes a half-assed jingler) or throw a red pillowcase on your throw pillows. After all, it’s the small details that make all the difference. Garland is a great way to cover a large part of your space and can be used in a variety of ways. The Dollar Store sells a fifteen-foot piece garland for a dollar. I got two and was able to wrap it around candles, hang it along the walls of my room and fill ornaments with it. You may be wondering what I mean by natural elements. I pretty much mean exactly how it sounds: elements from nature. Okay, I know you may be thinking I’ve had too much eggnog, but hear me out. Not only are they free but they create a Scandinavian feel. By placing natural elements, like pinecones and fir branches, you can add to the holiday feeling and create a cozy vibe. That being said, I don’t mean storing twigs and leaves in your house like a chipmunk but rather placing them effectively around the house. For instance, use the branches to make a DIY tree or make Scandinavian ornaments with leaves. An easy way to amp up your seasonal decor is by adding pictures. While Polaroids are always encouraged if you don’t have a Polaroid camera don’t fret. I went on Pinterest and found all my favorite Winter Wonderland pictures. After selecting my favorites, I resized them to all be 4×4 and printed them on campus. To add a little bit of a flare, I bought Christmas tree clips from the Target seasonal section and hung the prints along a set of string lights. If you’ve been following my blog you’ve probably noticed that I love string lights. They’re such a simple way to transform your room into a cozy, safe haven. Now that it’s Christmas, I’ve added to my collection. There’s nothing better than not having to leave your place to see Christmas lights. I hope you have fun decorating and comment photos of your finished products below!